Poroshenko said he did not put an equal sign between Putin and Zelensky. However, according to Poroshenko, for Putin any president of Ukraine except the current one is a “dream”, follows from the broadcast of the “Direct” meeting of Poroshenko with journalists. Also in the question was a proposal for advertising, in which Zelensky is hit by a wagon. 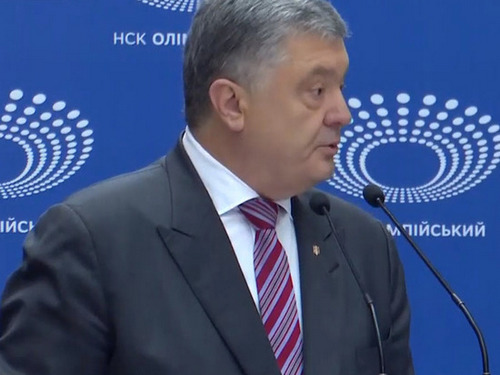 Poroshenko stressed that Zelensky had to come to the debate himself in order to repel the attacks of “black PR”. More Poroshenko on this topic did not spread. During his speech, Poroshenko several times called Zelensky “a cat in a bag” and invited Ukrainians to support themselves in the second round of elections. However, if they still choose Zelensky, he is ready to accept this result. The presidential candidate of Ukraine, the incumbent head of state, Petro Poroshenko, arrived at the Olympic Stadium in Kiev to participate in debates, broadcast by the Direct Channel. Poroshenko said that Zelensky was afraid of participating in the debate, so he intends to invite a showman to them every day. Poroshenko said that in the years of his rule, Ukraine conducted a decommunization. Also, the Ukrainian army has become “the most effective” on the continent. Kiev also won gas disputes from Russia, Poroshenko noted. Instead of debates with the unknown, Zelensky Poroshenko began to communicate with journalists. He also added that he intends to wait for Zelensky until 3 p.m. Poroshenko urged the gathered crowd to step into his headquarters as volunteers and help him become president. Zelensky should come to the debate, because the country is obliged to see who chooses, Poroshenko said. 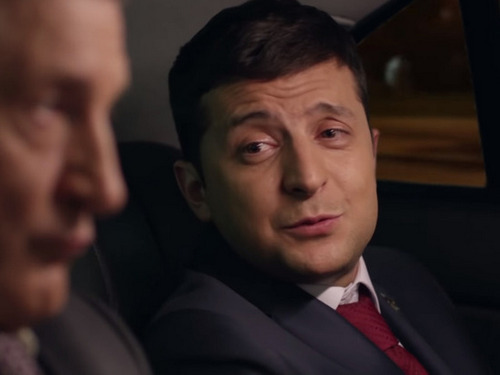 Zelensky himself said earlier that he was ready to debate on April 19. Poroshenko said that he was inviting Zelensky to the debate on the ICTV channel tomorrow, April 15. “It’s not scary, Vladimir,” said the head of state. The Ukrainian president added that the people have already chosen Euro-integration and NATO, and he intends to continue this course after the victory. Actor Vladimir Zelensky, applying for the presidency of Ukraine, told why he did not take tests for alcohol and drugs with the current head of state, Petro Poroshenko, at the Olimpiysky stadium in the Ukrainian capital. As explained by the presidential candidate of Ukraine Vladimir Zelensky in an interview with the news agency Ukraine, shortly before the planned event, he learned that a provocation was being prepared against him. The showman did not disclose details, stating only that the provocation was to be carried out at the Olympic Stadium. Based on the information received, he decided not to go to the stadium. “Someday, after all these elections, information will be shed as if someone prepared a provocation against me at the NSC Olimpiyskiy. I did not go there because I received such secret information,” Zelensky said. Vladimir Zelensky himself demanded to be tested for the presence of alcohol and drugs in the body. This was one of his conditions for participating in the debate, which Poroshenko insists upon. Both candidates, who passed the second round of the presidential election, passed the corresponding tests on the morning of April 5th. Poroshenko donated blood in the medical center at the site of the future battle, scheduled for April 19, and Zelensky trusted the employees of the commercial clinic Eurolab. A few days later, Poroshenko suggested that Zelensky be re-tested for the presence of alcohol or drugs in the blood. “Citizens of Ukraine have the right to be sure that the future president of the country is guaranteed not drug-addicted,” the Ukrainian leader said then.